The book opens with an excellent 20 page summary of the importance of sports and particularly bicycle racing and particularly the Peace Race in the so-called German Democratic Republic (GDR), a country considered to be the most efficient and/or ruthless of Stalin's Eastern European puppet states. 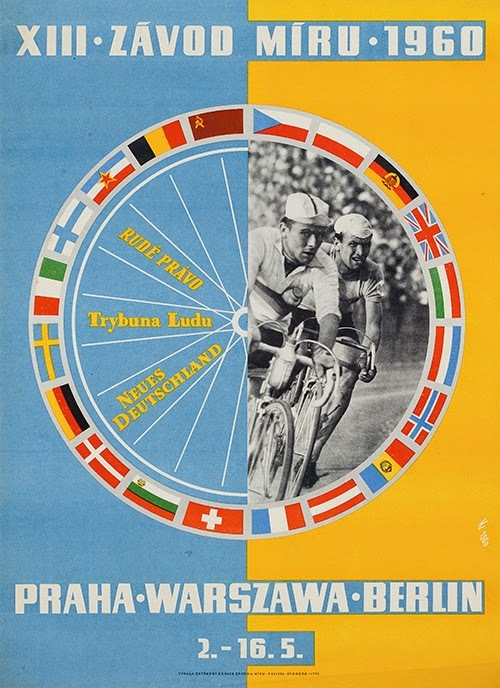 Two of those countries, Poland and Czechoslovakia (as it then was) came together to run a high-level bicycle road race in 1950 after two years of planning and in 1952 the pariah GDR was able to participate in what had now become a Prague-Warsaw-Berlin axis. The timing was not ideal as the relationship between the three countries was ragged, socialist fellow-feeling aside. The Poles and the Czechs had suffered greatly under German invasion and occupation during the World War II and some six million ethnic Germans had only recently been expelled from those countries in a massive example of “ethnic cleansing” which may have resulted in a million civilian deaths. Furthermore, the GDR could not boast the stability (or eventual prosperity) of its larger western half and in June 1953 a strike by construction workers in Berlin escalated rapidly and was only put down by Soviet tanks, a precursor of what was to happen three years later in Poland and Hungary and in 1968 in Prague. GDR citizens poured out of the country, heading west, a hemorrhaging that would only end in August 1961 with the construction of the Berlin Wall. It became known as “the Race of Millions” because of the spectators and was the highlight of the East Bloc sporting calendar. Tour de France winners were just seen as great cyclists whereas Peace Race victors like the GDR's double winner Gustav-Adolf “Täve” Schur were turned into symbols of the state, pin-up boys for socialism. 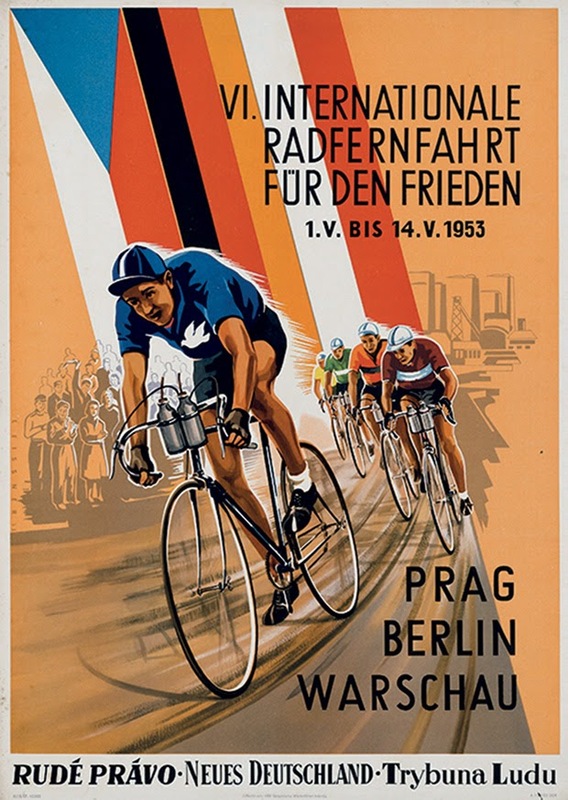 Billed as an amateur event and attracting numerous non-East Bloc participants (including the individual and team winners from the United Kingdom in 1952) the race ran until the fall of the Berlin Wall and the end of the Cold War pretty much ended its significance as Eastern Europe's best riders turned pro and headed for the Tour de France and greater sporting glory. Although some big names went on to win the race post-1989 (including Jens Voigt, Michele Scarponi and Steffen Wesemann) it became a mere shadow of itself and fell off the calendar entirely after 2006. With its sporting success in the Peace Race paving the way, the GDR set up its sports support structure through the establishment of local clubs and it was via the one near Chemnitz (renamed Karl-Marx-Stadt and now once again Chemnitz) that Dieter Wiedemann, born in 1941, began his upward climb in East German cycling ranks. A lathe operator, he was soon identified as a good prospect and by May 1960 he was instructed to stop working at the factory and train full time with state support. He was provided a superior wage and the equipment he required and he hoped to be on the prospective 1964 Olympic team, which would be a joint one with members from both Germanies participating. In addition his goals were to do well in time trials at the national level as well as the Worlds, which then offered an “amateur” component as well as professional one. 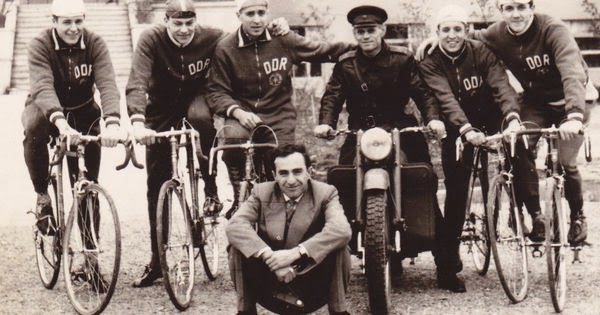 Of course, it is obvious that the East German riders were not amateurs in any way as they were paid a generous living wage by the state and trained and raced full-time, an arrangement followed in other East Bloc nations. 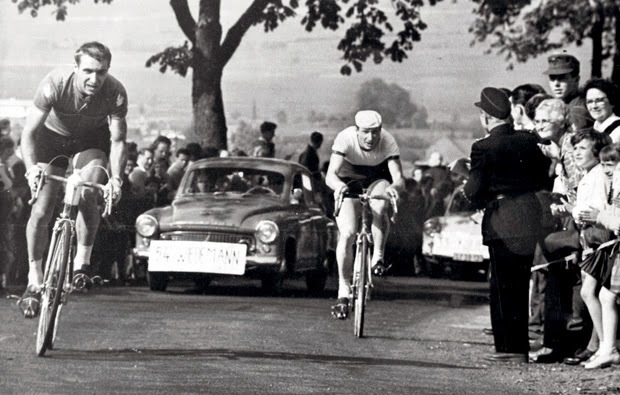 This smooth advance which saw Wiedemann as part of the successful national time trial team with his club in 1960 was interrupted in July when the young racer met an attractive girl from West Germany who was visiting relatives nearby. 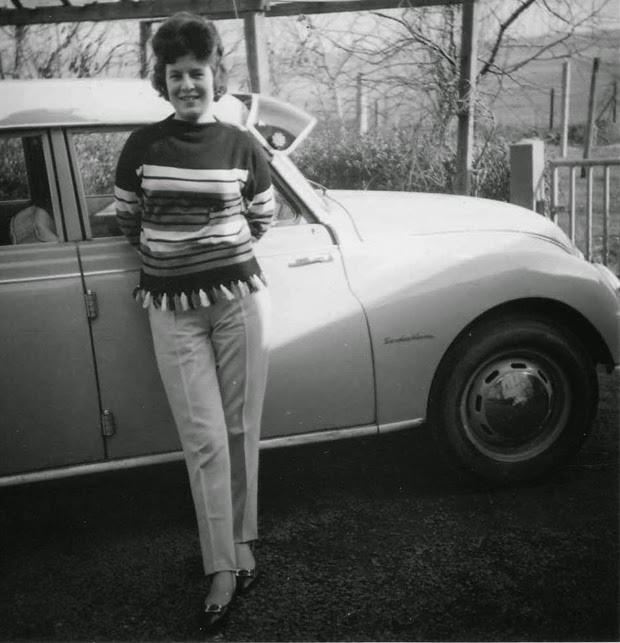 A correspondence ensued but it seemed clear that the building of the Berlin Wall meant that the couple, living only 300 kms apart but divided by the Cold War, would never get together but circumstances changed. In spite of its claimed moral superiority, the GDR was rife with corruption and favoritism. Wiedemann, in spite of promising results, was beginning to be passed over in favour of riders from Berlin and the club there under the patronage of a very senior Party member. He did get to ride in the 1964 edition of the Peace Race, standing on the final podium in third place, but decided that he would wage everything on the Olympic trials, the first of which would be held across the border in Giessen and defect. His intention was to marry his Sylvia and to become a pro racer. Although the book makes an effort to raise the suspense (there were Stasi (Staatsicherheit or State Security) agents accompanying the team), Dieter Wiedemann more or less took out his bicycle for a training ride and did not come back. As a quiet apolitical person his defection was completely unexpected. His subsequent history is not very remarkable. 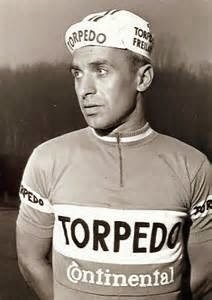 He did get married and for three years he rode as a pro for the Torpedo team, including the 1966 Tour de France where he rode up Mont Ventoux following Tommy Simpson, whom he saw collapse onto the road. He was a good support rider but left racing at 26 to work for component company Fichtel & Sachs, the owner of the Torpedo team, as his family grew. What is remarkable to our eyes is the result of his defection. In a series of file entries we see the anger of the GDR unleashed, official resentment that one of its specially-treated golden boys had turned traitor. His father lost his job as a mechanic for the racing club in Chemnitz and his younger brother, a very promising young athlete who may have been a better rider than Dieter, was drummed off the team, ending any possible prospect of a cycling career. An impressive number of nasty neighbours and informants filled the Stasi files with their venom, and one of the main gripes was that the prizes Dieter had been awarded should be returned to the state. He did arrange to have his bicycle sent back as that was demanded as well. His father was not allowed passage to West Germany for the wedding and even when an amnesty was granted following a high-level agreement between the two Germanies in 1972 Dieter and his family were able to visit Chemnitz but were still subject to Stasi surveillance and in fact there was still a file entry for 1982, 18 years after he left. The relationship with his family in Chemnitz became strained and he and his brother remain unreconciled. 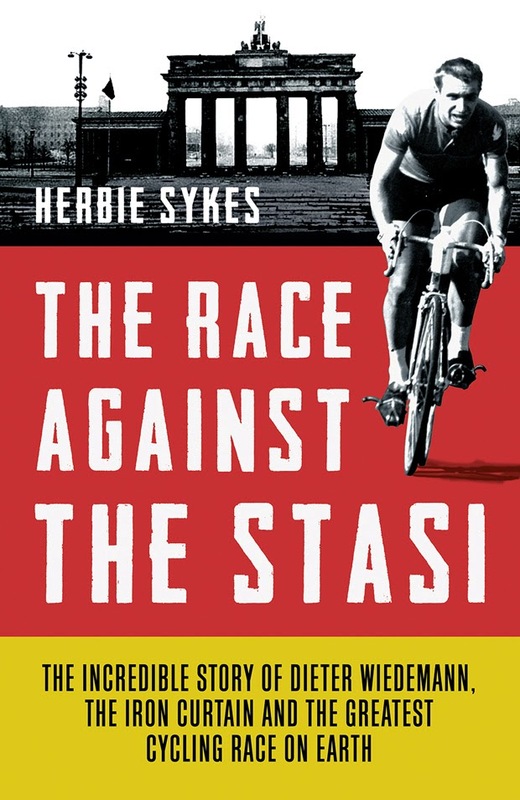 “The Race Against the Stasi” features an interview style that is highly readable and includes comments from Dieter, his family and friends as well as a number of East German cycling stars, including the famous Täve himself. Schur, who has been denied entry into the German Sports Hall of Fame for his refusal to admit the widespread use of performance-enhancing drugs in the GDR although his own teammates have confirmed it, became a Member of the German Parliament (Bundestag) after reunification and served for the PDS (the successor to the old East German Communist Party) from 1998-2002. He was voted East German Sports Personality of the Year nine times in a row (1953-1961) and Greatest East German Sports Personality of All Time. Dieter Wiedemann's story might be atypical in that he had received special favour by the GDR but the book is illustrative of the pettiness of the authoritarian state and how little it valued its own citizens. The story of the Peace Race and its aftermath, the effects on its star athletes and their families, as revealed in “the Race Against the Stasi” suggests that Western commercial pro races like the Tour de France, for all the cheating and corruption there might be, are only bicycle races. The Peace Race was in many ways far worse: a mendacious manipulation of public sentiment, parading its supposed high morals, with no concern for its athletes except in how they might best serve the state that was so unworthy of their sacrifice. A different history and well worth the read. Suggested prices for US and Canada are US$27.99 US, C$29.99; in the UK it is ₤18.99.